Why Is the Furnace Turning On and Off So Frequently? If you’re asking this question, then you’re doing a good job of paying attention to the behavior of your home’s heating system. Detecting early indications of malfunctions in a heater is essential to ensuring you arrange for repairs to fix the problem when it’s still small and to avoid potential health hazards. Odd sounds, strange smells, high bills—all are warnings you may need professional service for your furnace in Starke, FL. Posted in Heating | Comments Off on Why Is the Furnace Turning On and Off So Frequently? 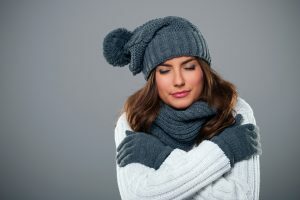 Winters here in North Central Florida are mostly pleasant, but we do have stretches of days when the temperature drops to the point where heating systems have to come on. Most people have heaters that use ductwork to move heat to the various rooms, such as furnaces (electric or gas) and heat pumps. Unfortunately, no matter how well your home’s heater works, you’ll run into trouble if the ductwork is leaky. The best way to prevent any serious issues with your furnace is to schedule routine maintenance for it. A qualified technician should thoroughly inspect the entire system to ensure that everything is working properly. With routine maintenance, your furnace will work more effectively. In addition, you will likely spend less money on furnace repair. The longer a problem with your furnace continues, the more likely it is to cause further damage. Proper maintenance allows HVAC technicians to diagnose any problems that you might be unaware of. Here in Florida, it doesn’t get too cold, but it does get a touch chilly. By now, you have probably turned on your furnace. Before we get too far into the season, call to schedule professional maintenance services. A technician can make sure your system is up to speed. If you notice anything that suggests an issue with the furnace, such as a strange noise or a lack of heat, don’t hesitate to call a professional for repairs. It is easy to push an issue off until next year, especially with such mild winters. However, we often forget about the problem until next winter rolls around, and we are caught in the same predicament. Remember, the sooner you schedule professional service, the less severe the problem is going to be. The furnace may be the most common heating system in the country, but it’s still got its share of problems. In truth, furnaces only have a lifespan of about 10-15 years, at least if you expect it to run efficiently. Then again, heaters in Florida do not get as much of a workout as they do in other parts of the country, so it’s not too surprising to have heaters last longer than expected. How do you know which is the right choice for your furnace? We want to help point you in the right direction. Think carefully about the condition of your furnace, and follow our advice in the guide below. When you’re ready to find out for certain, contact our team and we will give you an honest assessment of your home furnace. Many people end up in Florida because they hate the idea of too much cold weather. Most of us are quite glad that truly cold days are so few and far between. That does mean, though, that when it is chilly outside, we tend to want heaters to function properly so we can ignore the outdoor climate for a bit! All in all, heating systems don’t get much of a workout in our area. Still, they run into problems just like any other heating system! Because of their setup and the amount of usage, though, these problems may be a bit different from what you’d expect in other climates. Here are some common problems that come up with heaters in our warm climate. In this part of the country, we don’t see a lot of gas heaters. Electric furnaces do a fine job of warming up Florida homes (although we do recommend a heat pump to the energy-conscious Floridian instead). 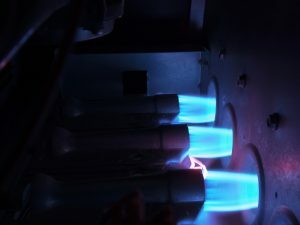 A major benefit to electric furnaces is that they are so durable, which is why it may be surprising when you notice yours has run into trouble, or won’t start up at all. The good news is that you may be able to fix the issue, or at least get to the bottom of the trouble, yourself. We’ve got your guide to doing so below, but be sure to call in qualified technicians when you need them! 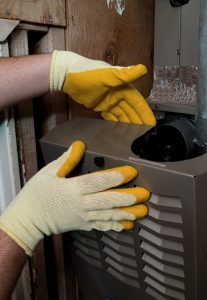 When is the last time you had a professional HVAC technician (heating, ventilation, and air conditioning) in your home? If you’re like most people, you only call in an HVAC company when something goes wrong, or when you need a new system installed. This means it may have been years since your last visit, but we think this is a mistake. As the years go by, it may take longer for your air conditioner to cool your home, or a heater to warm it up. It doesn’t have to be this way! Professional AC and heating maintenance makes your home more comfortable, and helps to prevent problems that leave you without any AC or heat when you need it. Call a local technician to inspect your HVAC equipment today! So you’re looking for a new furnace and you’ve got a lot on your plate. You’re probably buried in comparisons between fuel types, AFUE vs HSPF ratings, and a dozen other considerations. 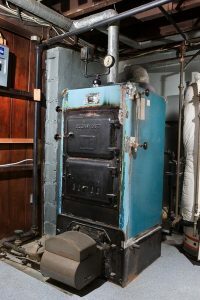 So, it can be pretty tempting at times to just go with whatever furnace fits in the space you have available just to get the whole process over with. We don’t recommend that for a number of reasons, one of the most important being this: size matters. 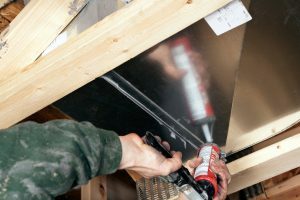 If the furnace you install in your home is too big, or too small, you’re going to be amazed at how quickly things are going to turn sour for you. Your HVAC systems probably see a lot of use throughout the year. Even in winter, it’s common to use both heating and air conditioning systems pretty frequently. All of that causes the wear and tear on those systems to increase, which means a greater chance of problems occurring. If you want to keep your systems in the best possible shape, the best thing to do is make sure that they see regular professional maintenance services. Your furnace is going to be under a lot of strain over the next couple of months, which means that problems will be more likely to occur. It’s important that you know the warning signs that your furnace is developing a problem. 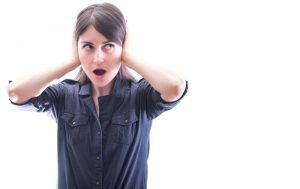 One of the easiest ways to tell that your furnace is having issues is to listen for any strange noises coming from it.